Duke: Williamson and Barrett — the nation’s only freshman teammates averaging at least 20 points apiece — took command again on offense. But what really made this a complete victory for the Blue Devils was how dominant their defense was, especially after the Gonzaga game. 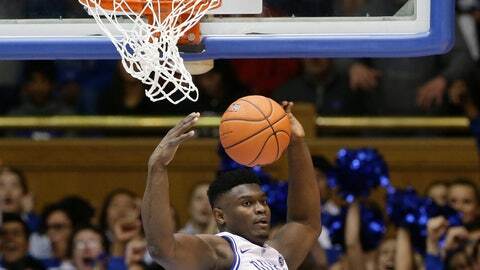 Duke forced a season high in turnovers, and held Indiana to a season low point total.